Who doesn’t love a highly organized system of interlocking pallets? 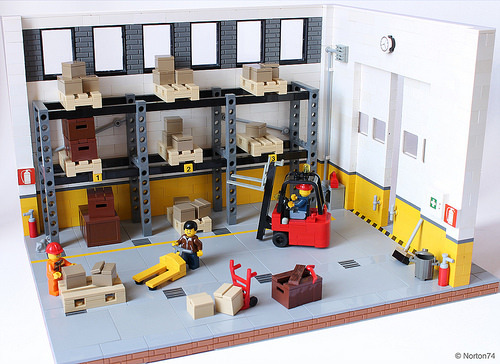 Warehouses are a marvel of modern engineering, with flurries of activity and pedantic levels of organization, and LEGO builder Norton74 says he recently visited a large warehouse and wanted to translate the scene into bricks. His use of the 1×1 Technic bricks for the adjustable shelving unit legs is great, and I love the clever way the he imitates cardboard box lids by not pressing the tiles all the way down.